Do you know the difference between customer service and customer experience? A consumer specialist, Ginger Johnson, will give a lively talk on knowing the difference, insights and practices for all businesses and organizations to heed. She’ll share critical Dos and Don’ts as well as other insights based on qualitative research. Ginger is an enthusiastic, energetic and highly knowledgeable speaker, educator, researcher, and personality. 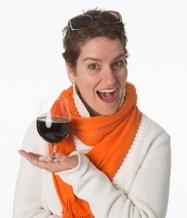 She is the founder of Women Enjoying Beer (WEB – www.womenenjoyingbeer.com), the only research-driven education company that specializes in studying women and their relationship with beer. She produces a weekly live radio program, BeerRadio, and has made appearances on television stations, in an award winning documentary, and has been featured in a number of web based video pieces. Her areas of expertise include qualitative research, presenting, speaking, writing, consulting, and marketing. She works with a wide variety of industries, conferences and associations that understand the value of knowing how to respectfully develop female market share. Make a reservation online with payment or call in your attendance reservation to Carol Vandell at 541-292-6326. (Also, contact Carol if you have special dietary needs, cancellations or other questions about registration.) Please submit your reservation request (online payment or phone) by 9:00 p.m. on Monday, October 6th. Reservations made after this cut-off date cannot be guaranteed. Cancellations must also be received by that date or you will be responsible for payment of the uncancelled event. cancellations, or other questions about registration.